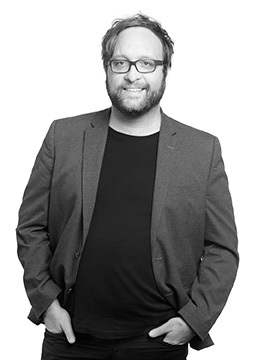 Joss Kiely, Ph.D., is a visiting instructor in architecture at Louisiana State University where he teaches courses in architectural studio, history, and representation at the undergraduate and graduate level. He also holds a Bachelor of Arts from Connecticut College in French language and literature and architectural studies, as well as a Master of Architecture and a Master of Science in architectural history and theory from the Taubman College of Architecture and Urban Planning at the University of Michigan, Ann Arbor. His doctoral dissertation entitled, “Itinerant Architecture: Global Politics and World Building in the work of Minoru Yamasaki and Associates, 1951-86,” examines the close relationship between commercial aviation and the rise of the postwar, global architectural practice focusing on Detroit-based architecture firm of Minoru Yamasaki and Associates. Prior to joining LSU, Kiely directed ArcStart, an intensive, architecture high school summer program at the University of Michigan for the past five years. In addition, he maintains a creative graphic design collective, Studio Jot. His research has been generously funded by the Luce/ACLS fellowship in American Art and presented at a wide variety of conferences in the United States, Australia, New Zealand, Canada, Japan, and the United Kingdom. Most recently he gave a paper at the Society of Architectural Historians’ Annual Meeting in St. Paul, MN in April 2018, entitled, “The Chaff of U.S. Diplomacy: MYA and the Forgotten Pavilion at the 1959 World Agricultural Fair in New Delhi.” Kiely has an article forthcoming in the peer-reviewed Australian journal Arts as part of a special issue on architecture and luxury.